Many consumers after purchasing tiles will find, tiles’ length, width and thickness there is small deviation, affecting the paving effect. Due to the lack of tile thickness standards, many owners mistakenly believe that tile is thicker is the better. 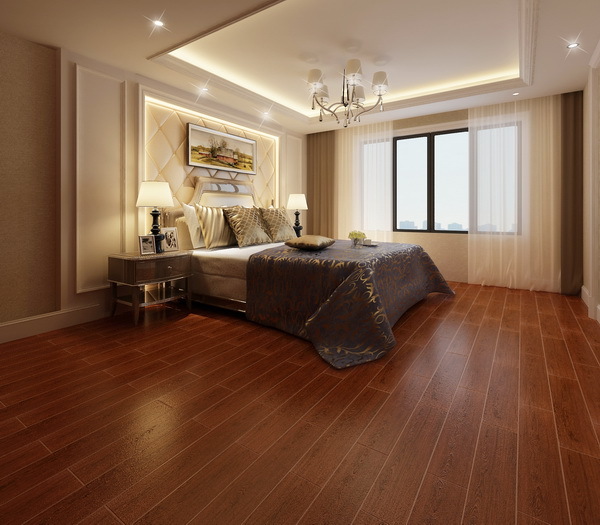 Experts advise, as long as the quality of qualified, thin tile has more advantages. Recently, in the major building materials market survey found that more than 30% of consumers do not know how to determine the quality of ceramic tiles; more than 40% of consumers believe that tiles as thicker as better; 30% of consumers believe that the thinner tiles to save space, but whether the thin tiles can withstand the test of quality, remains to be verified. According to experts suggest, in accordance with national standards, ceramic tile size of the long, wide error range: e ± 0.5% f ± 0.3%. Where e is the maximum error of 10 blocks of the same type, and f is the mean of the error of 10 blocks of the same type. On the thickness of ceramic tiles, the current state has not yet introduced a unified mandatory standards, generally determined by the enterprise, and its thickness and thin will not affect product quality, there is no official explanation, so thick and thin can not be used as a judge. The only criterion for good or bad tile quality. "To some extent, the thickness and quality of the tiles, but this is not the only criterion, the key is technology." "Thin it does not matter, as long as the firing time enough, the density of pressure enough, deformation does not occur, the quality is Clearance. " National standards, although there is no strict rules on the thickness of the tiles, but the water absorption, heat resistance, etc. are provided. From the perspective of environmental protection, the thinner the more favorable to the development of the industry. In accordance with national regulations, the size of the tile is allowed to have errors, so the general professionals will pick the brick before the first pick brick, the error of the larger bricks to pick out the first to prevent the error does not affect the gap caused by large Beautiful. Therefore, the consumer is best to buy the brick before picking. Experts recommend that consumers buy the best tiles out of the box to view. In addition to comparing the length and width, the most scientific measure is to look at the diagonal. Diagonal the same tile size basically no problem. The industry to remind consumers to open the box test tiles, you can remove two pieces of the same model, two products placed in the horizontal plane, with both hands of the tiptoe parts back and forth along the edge of the tile slide, if the tile through the joints At the time there is no obvious sense of rough, indicating the size of the tile is better, the error is small. The smaller the size error, the better tiling effect. On the contrary, if there is a clear sense of rough ceramic tile, indicating a larger size error of the tile will affect the effect of paving.